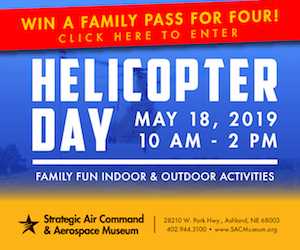 Disclosure: Special thanks to Urban Air Adventure Park for providing passes for my family to experience all of the fun they offer. 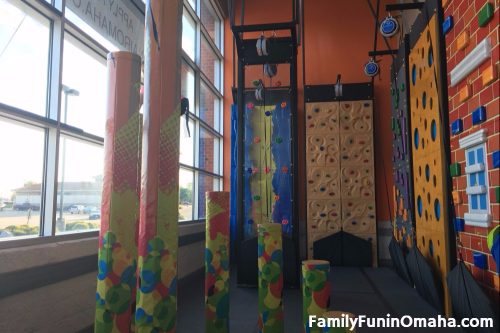 There is a NEW Indoor Activity Center in Omaha! 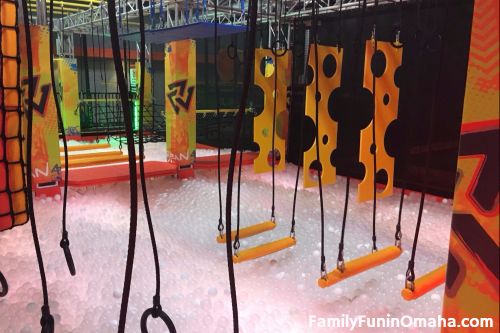 Urban Air Adventure Park offers fun for a variety of ages, from toddlers to adults, with a Warrior Course, High Ropes Course, Climbing Walls, Dodgeball, Trampolines, Indoor Playground, and more! 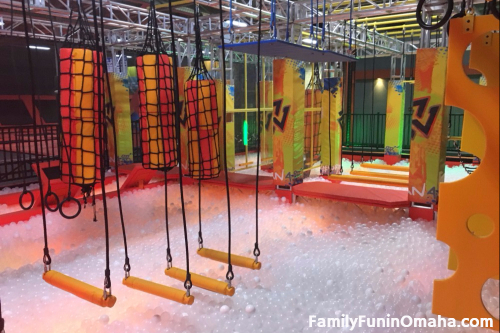 Created with the idea of providing a place where kids of different ages can play, Urban Air offers active fun with unique and challenging attractions. 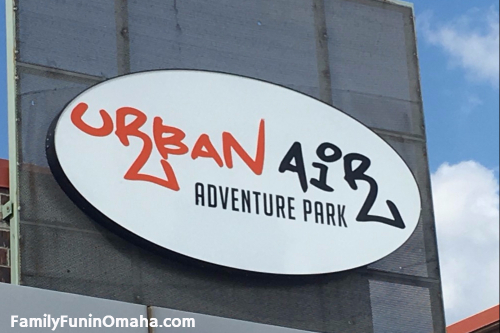 Urban Air Adventure Park opened in Omaha in August 2017. 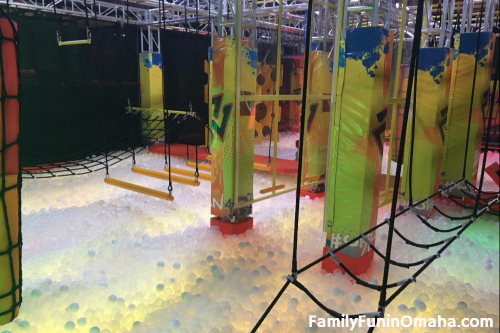 One of the highlights of Urban Air Adventure Park is the Warrior Course! 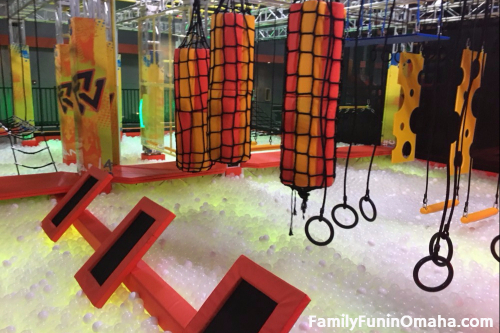 Packed full with exciting obstacles, this course offers many challenges with varying degrees of difficulty. 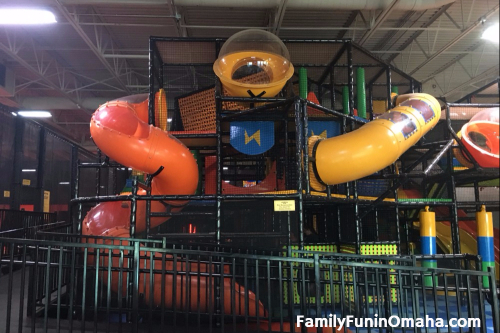 With 4 lanes of challenges, multiple children or adults can participate at the same time. The balls provide a nice cushion for landing, and a fun pool for the kids to walk through. Each lane also had a timer, so you can try to improve your score each time, or challenge your friends. 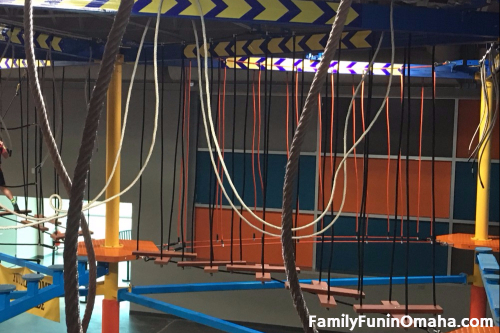 Another favorite attraction is the High Ropes Course, which we have never seen before or experienced at any other location. 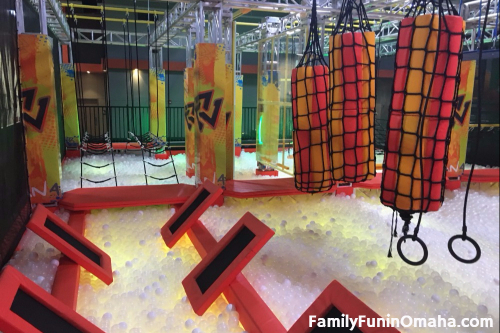 Raised high overhead the floor below, participants are secured with ropes and harnesses that allow them to freely move around the obstacles. Be careful if you are afraid of heights! Initially, my kids were very tentative as they moved around the course, but by the end, they were moving around almost forgetting they were so high above ground! 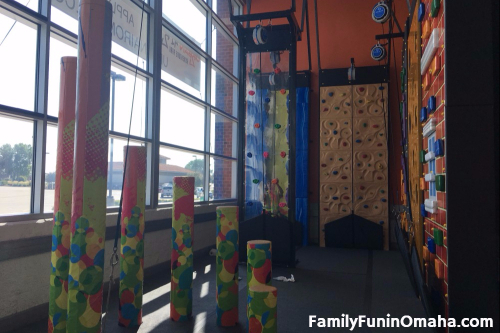 A highlight of our visit were the Climbing Walls and Stairway to Heaven! 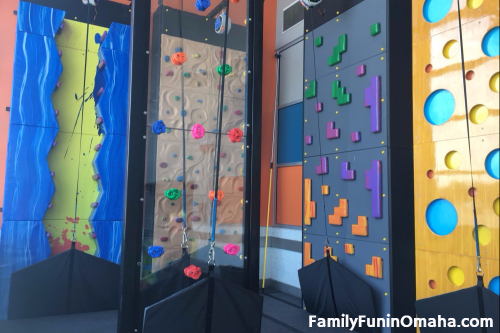 Participants are harnessed and can choose from a variety of climbing walls, including the racing tower where you can challenge your friends! 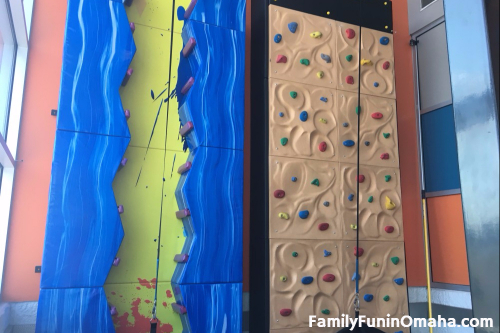 This unique climbing wall was my son’s favorite! 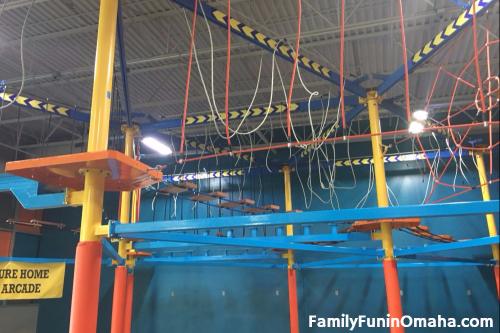 The Stairway to Heaven is a fun challenge for kids and adults alike! After several attempts, I finally made it to the top! 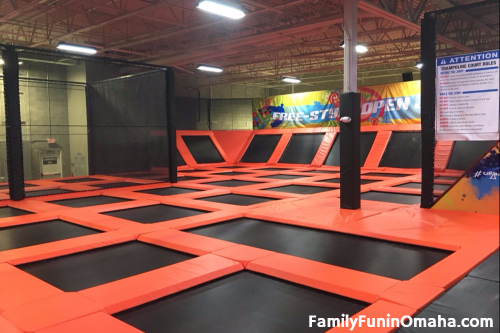 Urban Air includes a large area for trampoline fun. 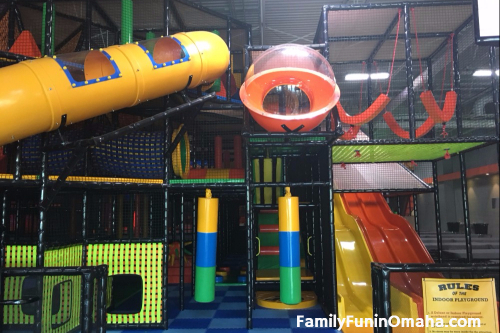 A perfect closed off area just for children ages 5 and under! 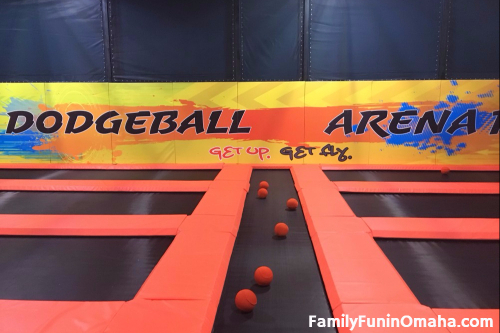 Visitors can play on 2 dodgeball courts! 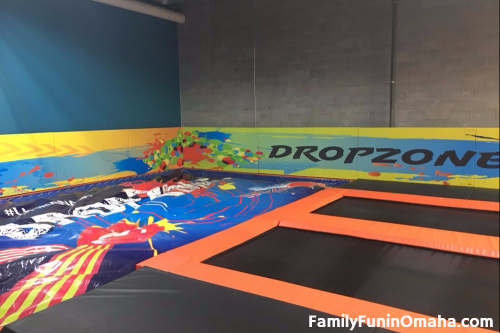 The DropZone invites participants to jump and flip, landing on a stunt mat. 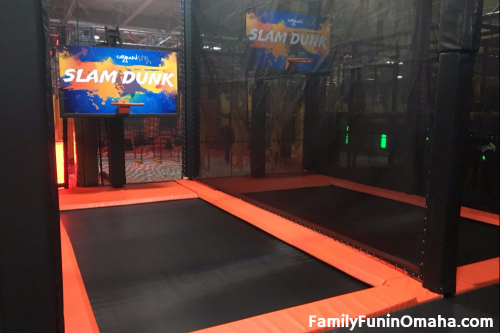 See how high you can dunk with 2 hoops! 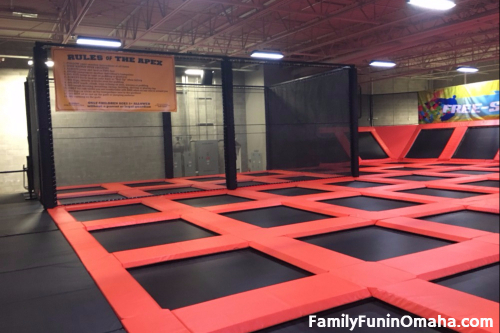 These Olympic Style Trampolines provided extra bounce, where kids could jump up to the ledges and back. It was amazing how high you could jump! A perfect space for the younger visitors! 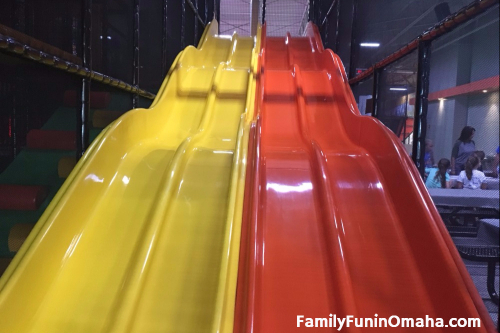 The fun includes many slides, climbing areas, tunnels, and obstacles. 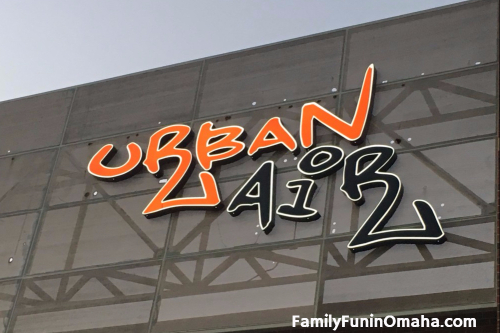 Urban Air Adventure Park offers a variety of special events. 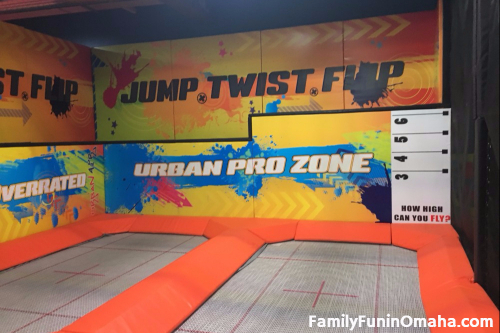 Parents can join in the fun on Open Jump Times! A Parent Pass is currently $5.99 for the same attractions as their child. Urban Air Jump Socks are required for Climbing Walls and Ropes Course. 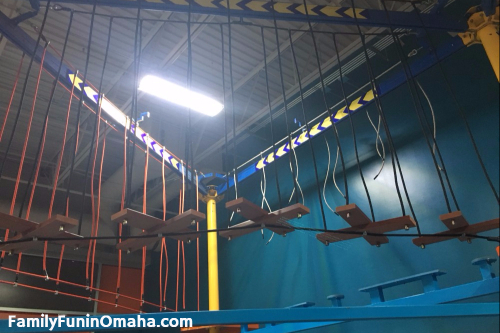 Find out more about Omaha’s Urban Air Adventure Park here! 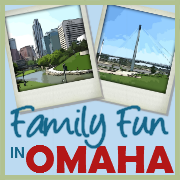 One Family Fun in Omaha reader will win a Family Fun Pack to Omaha’s Urban Air Adventure Park, which includes 4 shirts, 4 headbands, 4 passes to trampolines, indoor playground, and warrior course. This giveaway has ended. Many thanks to all who entered! Congratulations to Denise M.! GIVEAWAY ENDS: Sunday, October 1, 2017, 11:59 p.m., CST. OTHER: Entrants must be 19 or older and located in the US only. The winner will be selected using random.org and notified via email. Winner must respond within 48 hours to claim their prize, or another winner will be chosen. Only one entry (+ bonus entries) per person. Duplicate entries will be deleted.